What is the custom command to “Show Desktop” for hot corners? As far as I know, there is no way to run a command after leaving a hot corner, but you can toggle "Show Desktop" when you touch a hot corner. status="$(wmctrl -m | grep "showing the desktop" | sed -r 's/(. *)(ON|OFF)/\2/g')"
Not the answer you're looking for? Browse other questions tagged release-juno hot-corners show-desktop or ask your own question. What's the difference between these two 'Hot corners' options? How can I set Hot Corners shortcut to minimize all applications? 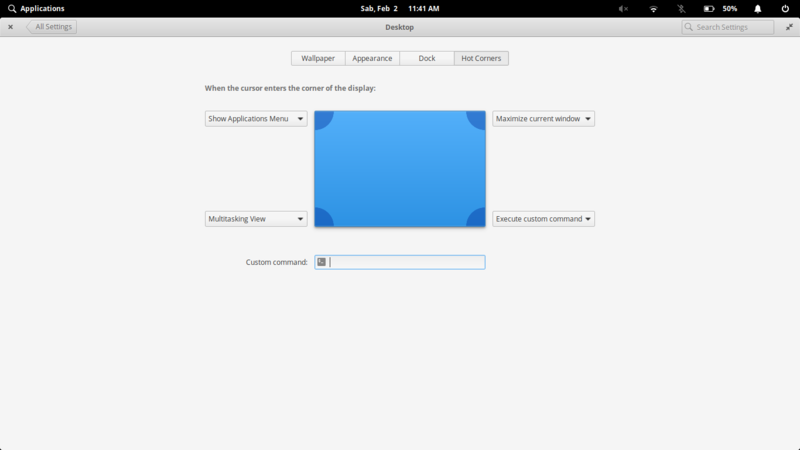 How to add “Show Desktop” icon in elementary OS? How do I fully close apps?